Outlander, the hit time-travel television series, has been a huge success in both the States and the UK. Part of this success is due to the beautiful Scottish scenery that features in the show. Besides Outlander, Scotland has played host for many other television productions, and even more films. Scotland has produced some of the top Hollywood stars, but the beautiful country itself is has been the star of many films. Scotland’s phenomenal scenery serves as a wonderful backdrop for movies. The country’s sprawling and mysterious landscape is other-worldly, so it is no wonder that filmmakers often flock to Scotland to create movie magic. The American-Scottish Foundation has compiled a list of eight must-see movies filmed in Scotland. How many have you seen? 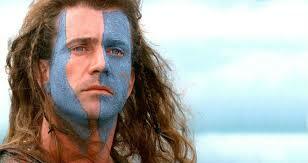 No list of films shot in Scotland would be complete without Braveheart, the iconic historical epic. 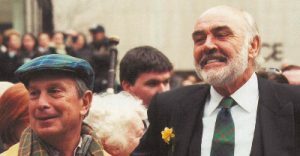 The 1995 film directed was directed by Mel Gibson, who also stars as William Wallace, the13th-century Scottish warrior who led the Scots in the First War of Scottish Independence against King Edward I of England. The film crew spent six weeks shooting on location throughout Scotland, in areas such as Glen Coe, Aonach Eagach, Glen Nevis, and Loch Leven. Although the majority of the film was shot in Scotland, some of the battle scenes were shot in Ireland as well. Braveheart was a huge success. The film was nominated for ten Academy Awards and won five. If you haven’t seen the iconic movie yet, it is well worth the watch! Trainspotting is a 1996 British black comedy directed by Danny Boyle. The film stars Ewan McGregor, Ewen Bremner, Jonny Lee Miller, Kevin McKidd, Robert Carlyle and Kelly Macdonald. The movie follows a group of heroin addicts living in 1980s Edinburgh and their struggles with poverty, crime and addiction. Although the film is set in Edinburgh, the majority of the scenes were shot in Glasgow. 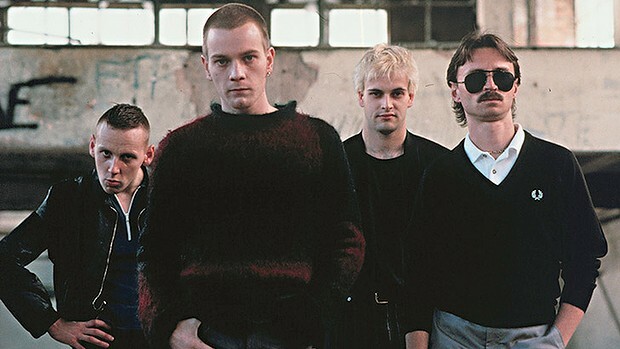 Trainspotting has become a classic in its own right. The film is ranked 10th by the British Film Institute in its list of Top 100 British films. It was also voted the best Scottish film of all time in a general public poll in 2004. Although the movie deals with dark themes, it is a cinematic masterpiece and is not to be missed. In 1975, the British comedy troupe “Monty Python” released the feature film Monty Python and the Holy Grail. Starring the Monty Python comedians Graham Chapman, John Cleese, Terry Gilliam, Eric Idle, Terry Jones, and Michael Palin, the film is wildly funny. The film is an outrageous parody of the legend of King Arthur and his quest to find the Holy Grail. Most of the film was shot in Scotland, particularly in the areas of Doune Castle, Glen Coe, and the Castle Stalker. 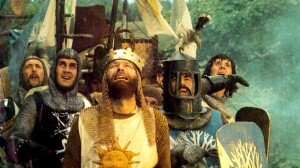 Now a hilarious cult-classic, Monty Python and the Holy Grail grossed the most out of any British film released in the U.S. 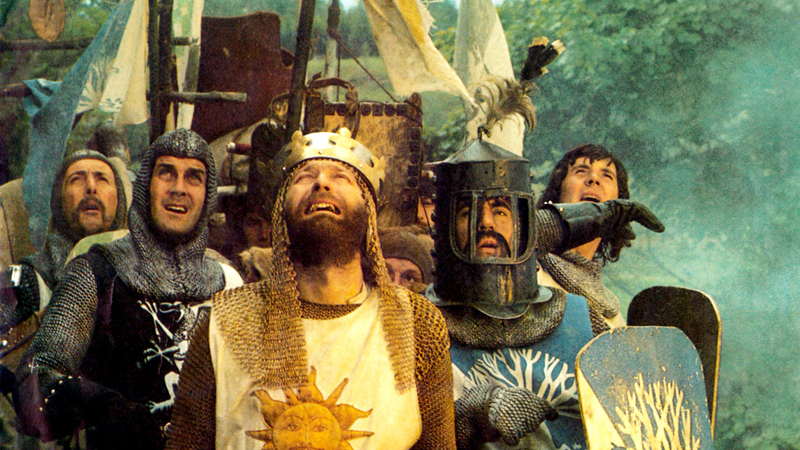 If you are in the mood for something witty, ridiculous, and positively bursting with fun, give Holy Grail a watch. 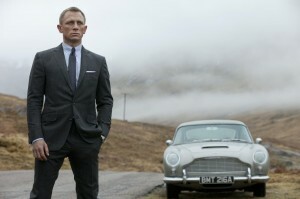 Skyfall, which was released in 2012, is the twenty-third “James Bond” film produced by Eon Productions. The story follows Bond, played by Daniel Craig, who is investigating an attack on MI6; the attack is part of a plot by former MI6 agent Raoul Silva to humiliate and kill M, the Head of the Secret Intelligence Service, played by Dame Judi Dench. 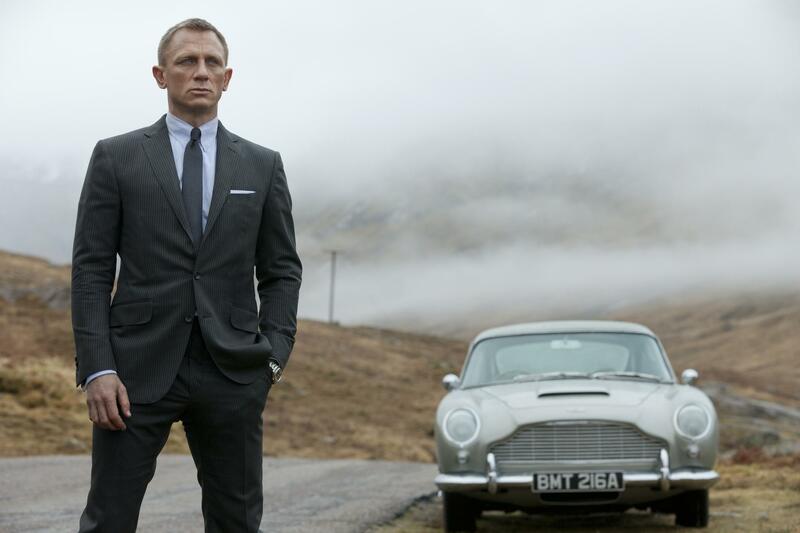 Many of the most important scenes of Skyfall take place at Bond’s family home in Scotland, “Skyfall Lodge.” These scenes were shot in the dramatic landscape of Glen Coe. 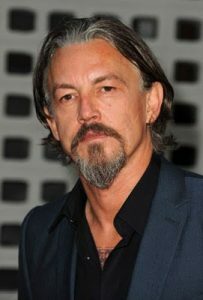 The film’s 2012 release coincided with the 50th anniversary of the James Bond series, and won several awards, including two Academy Awards and two Grammys. This thrilling film should be on your must-see list, even if just for the gorgeous Glen Coe scenes. Dear Frankie is a 2004 British drama directed by Shona Auerbach. The film stars Emily Mortimer, Gerard Butler, and Jack McElhone. The film focuses on a young single mother and her relationship with her young, deaf son. Dear Frankie is a heartwarming film that explores the lengths at which a mother will go for her child. The film is set in the small Scottish village of Greenock. 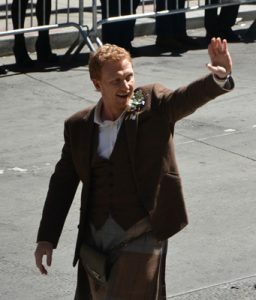 Filming took place in Greenock and throughout Glasgow. This movie was first premiered at the Tribeca Film Festival for independent films in 2004. It was also screened at the Cannes Film Festival, where it received a fifteen-minute standing ovation. Movingly acted and beautifully filmed, Dear Frankie is a must see. Restless Natives is a 1985 comedy directed by Michael Hoffman and starring Vincent Friell, Joe Mullaney, and Ned Beatty. 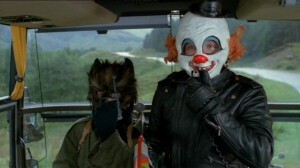 The film is about two modern-day “Robin Hoods” from Edinburgh who wear masks and rob passengers on tourist coaches to the Highlands. The whimsical comedy follows the two young robbers as they become local folk heroes. The film is shot in locations throughout Scotland such as Edinburgh, Glasgow, Glen Coe, and Glen Nevis. Restless Natives is distinctly Scottish in its folk-story charm, its gorgeous backdrops and its soundtrack, which is composed and performed by Scottish rock band Big Country. A gentle 80s comedy, Restless Natives is an underrated treasure of a film. Cloud Atlas, a 2012 independent German-American science fiction film, features a star-studded cast of actors such as Tom Hanks, Halle Berry, and Jim Broadbent. 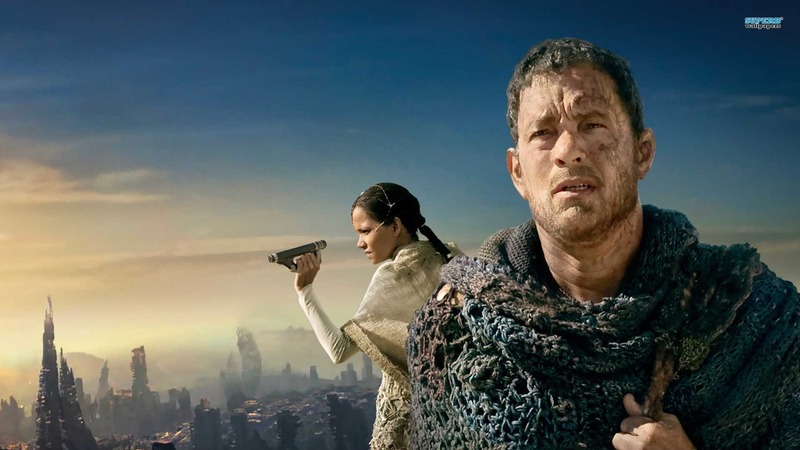 The film is based on the 2004 novel Cloud Atlas by David Mitchell. The film follows several plots set across six different eras, exploring the “ripple-effect” of time. Much of Cloud Atlas was filmed in Scotland, in locations such as Glasgow, Edinburgh, Falkirk, and Dumbarton. Cloud Atlas premiered in 2012 at the 37th Toronto International Film Festival. Although the film has received mixed reviews, it was up for multiple awards including a Golden Globe for best original score. The movie is worth the watch for the beautiful cinematography and Scottish sites alone. 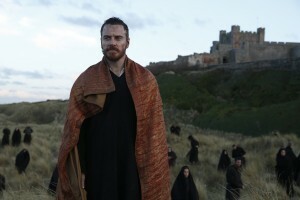 The most recent film adaptation of Shakespeare’s Macbeth was the brain-child of director Justin Kurzel. The famous story of the murderous Scottish king has inspired many past film productions. However, the 2015 adaptation is especially notable for the way it utilizes the Scottish landscape. Starring Michael Fassbender as Macbeth and Marion Cotillard as Lady Macbeth, the dark film follows the couple’s descent into madness. Filmed throughout England and Scotland, Macbeth shows off the spooky side of Scotland in locations throughout the Isle of Skye. Although this film is dark and violent, it is well worth the watch. Ancient Scottish customs, songs, and accents give the rugged film an air of authenticity. In the 2015 Macbeth, the classic tale of murder and madness is given new life. This entry was posted in ASF Events, Uncategorized and tagged Academy Award, Braveheart, Cloud Atlas, Daniel Craig, Danny Boyle, David Mitchell, Dear Frankie, Emily Mortimer, Eric Idle, Ewan McGregor, Ewen Bremner, Film, Gerard Butler, Golden Globe, Graham Chapman, Halle Berry, Jack McElhone, James Bond, Jim Broadbent, Joe Mullaney, John Cleese, Jonny Lee Miller, Judi Dench, Kelly Macdonald, Kevin McKidd, Macbeth, Marion Cotillard, Mel Gibson, Michael Fassbender, Michael Palin, Monty Python and the Holy Grail, Movies, Ned Beatty, Restless Natives, Robert Carlyle, Scotland, Scottish films, Shakespeare, Skyfall, Terry Gilliam, Terry Jones, TIFF, Tom Hanks, Trainspotting, Vincent Friell on March 11, 2016 by Theresa Schilling.